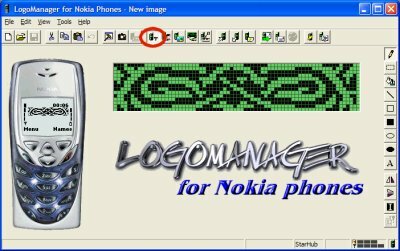 Changing your handphone logo/ring tone for free*!one of the most popular things people do nowadays with their handphone is customising it showing off their names etc as the logo. OK here’s what a logo is in the first place. Now isn’t that better than the default logo your service provider has given you? Such as here in Singapore the word Starhub or M1? Normally what you would do is surf on to M1/ Starhub or Singtel‘s site for downloading but that isn’t cheap! There’s also other company that provides such service such as Iguana. Downloading logos from these site costs’ ranges from free* (other logo of your service providers most of the time or sponsored ones from advertisers of your service providers) to 50 cents (SGD) each. Some advertised in the papers can cost like .00 – .50 each. Now that’s what I call daylight robbery! So what do you need to do it for free? 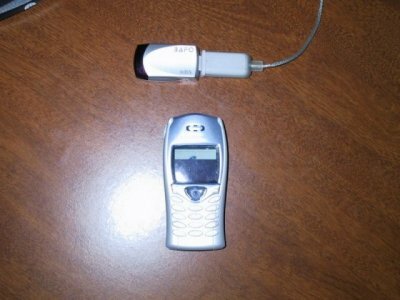 I’ll just be covering Nokia phones and on model 8250 that has a built in infra red port. 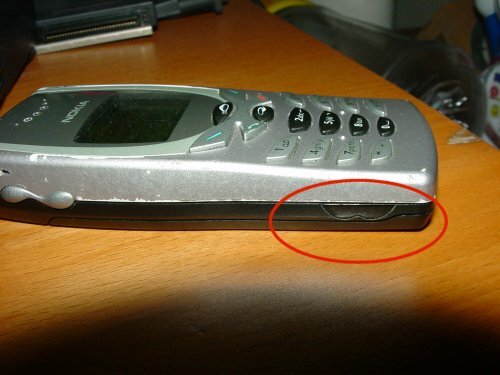 Read here if your phone does not have a infra red port such as the Nokia 3210. I’ll not run through the steps of installing (as usual) but here’s some screen shot of the installation process. Running the program for the first time. You’ll be warned it’s a demo etc, here’s the main interface. On the right is the Nokia 8310 handphone. Now you will need to configure your PC’s infra red port. 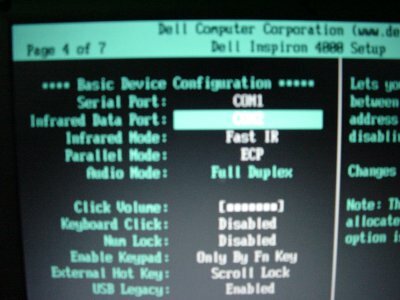 I am using the Dell Inspiron 4000 notebook PC that has a built in infra red port. 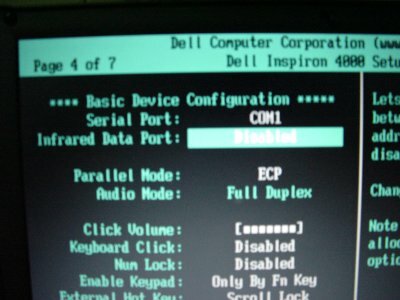 On this machine, the Infra red port is enable or disabled via the notebook’s BIOS. 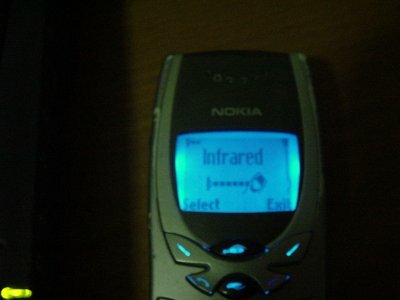 Then enable the Infra Red on the phone. The connection will automatically be detected. Here it is, automatically detected on my laptop. 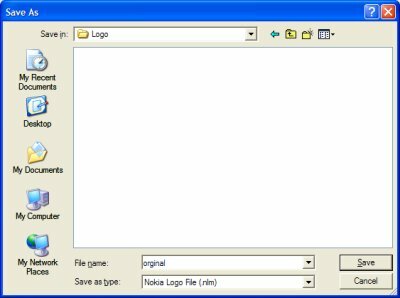 Start Logo Manager and choose Tools > Options. 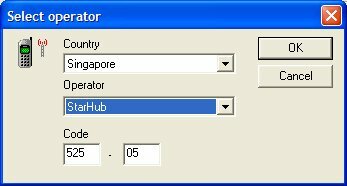 I have chosen Singapore and Starhub which is my service provider. OK, why do you have to choose? Well, a logo is actually a “code” that is sent to your phone resembling an image and different service provider in different countries uses different “air waves” to sent this code to you. 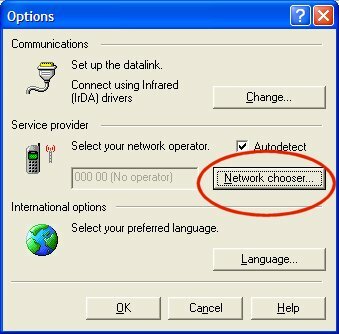 So for example if you have already set a logo on your handphone and you have auto roaming services, you visit another country for example here in Singapore you go to Malaysia, the service provider will be switched to the strongest signal one for example Maxis and the logo is gone, it will be replaced by Maxis’s default logo. Don’t worry, you’ll get the original logo you have set on your phone back when you return to the place you originally set the phone for, for example Singapore, once again. …when the phone is in “Edit an operator logo” mode. I’ll save this for later use. So let’s surf on to Iguana. Click on Nokia > Logo. Here’s some sample, I’ll just pick one of them…that I like. 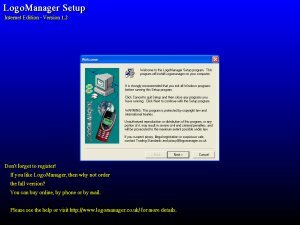 Now go back to Logo Manager and select “Grab an Image from the screen (Ctrl + C)”. A little target that looks like the following is formed and it reads 72 x 14.
. Target the logo you like and left click again. Now I have a logo ready to be sent to my phone. 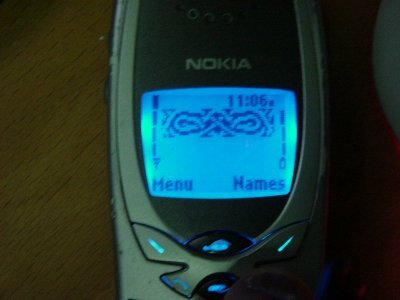 You can see a preview on the 8310 phone on the left of the program. OK, this looks funny. I’ll send it to my phone. 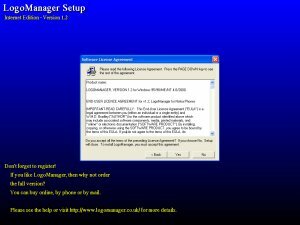 Just click on “Upload item to phone”. and there! it’s on the phone! Free of charge! Simple. you can of course change it if you think you don’t like it after all. Just click on Grab an image again, preview it, upload it to your phone! 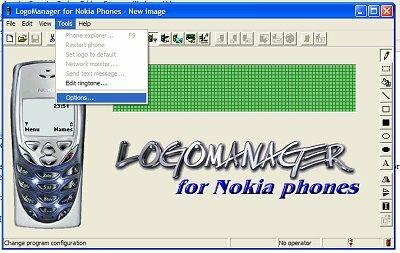 Ringtone are a little tricky, they often sound different in preview on your PC after you have uploaded it to the phone. First of all, you need to change Logo Manager to “Edit a ringtone” mode. The next screen will appear. I’ll just show you this ringtone. I will upload just this default ringtone to the phone. It’s titled Brahms. You can preview it by clicking on the play button. Just click on the same Upload Item to phone button and you’re done! Notice that there’s this options on the left? Well, they sound different too. Hear them right here! 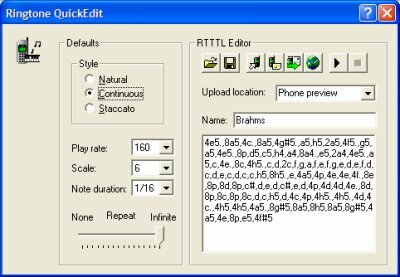 i have just recorded Continuous and Staccato since Natural and Continuous sounds the same just that it repeats on your phone. 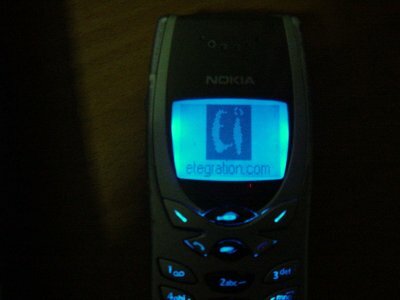 Click on the trumpet icon to play the ringtones. You may need Winamp if it doesn’t play on your PC. 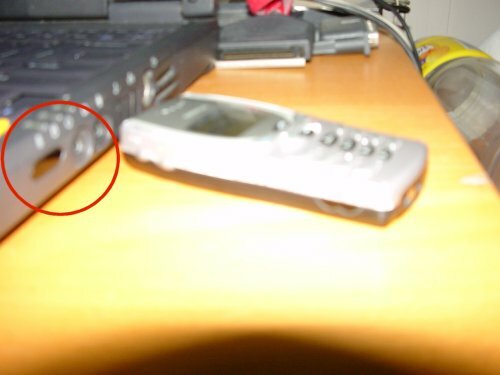 What if you do not have a phone with an Infra red port? 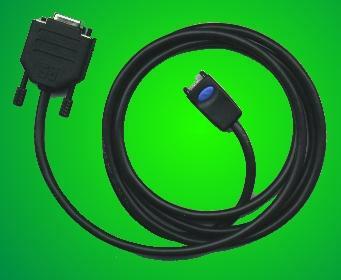 What if your PC does not have an Infra Red port? Hey that’s not all you can do on your phone you know?! You can change the startup logo, a picture message (that you can send a friend later!). 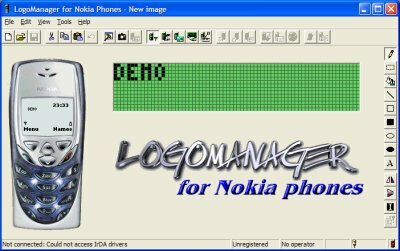 You can also manually edit the logos, picture message with the built in tools of logo manager. I’ll leave you to explorer the rest, it’s basically the same, capture something, uploading it to your phone. Enjoy!